Every now and again we all need a little bit of a reboot and restart and juicing is an awesome way of doing this. Getting lots of fresh goodness (vitamins, antioxidants, and super nutrients) that give us energy, nourish our bodies and boost our immune system in a delicious and simple way. This week as life returns to some kind of normality (apparently) I’ve been reacquainting myself with my juicer. And I’ve fallen in love with this amazing green juice. 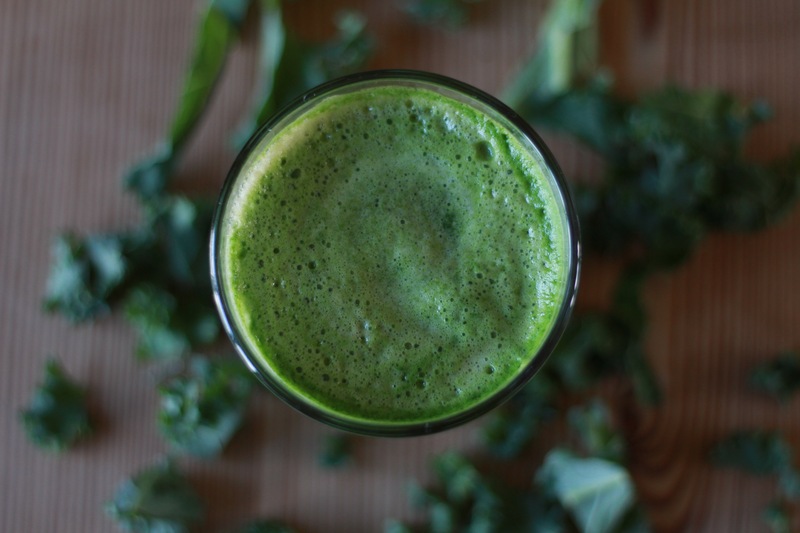 Refreshing and light but still full of green leafy kale goodness. I’ve looked forward to starting my day with this power juice. If you don’t already juice now is a fantastic time to start a juice habit. The end of summer holidays and getting back into routines, work, school runs and commuting, can all be a bit of a ball ache and unfortunately bring the added fun of a mash up of bugs and viruses. All of which can this can put pressure on our immune systems. This is where juicing comes into its own. The many virtues of green juice are well documented but if for some reason you’ve been camping in outer Mongolia for the past couple of years google it or simply believe; Green Veggies = lots of health benefits (shocker hey?!) . Better still they taste amazing and are a great way to start your day with a refreshing zing of energy or make a great mid afternoon pick me up. 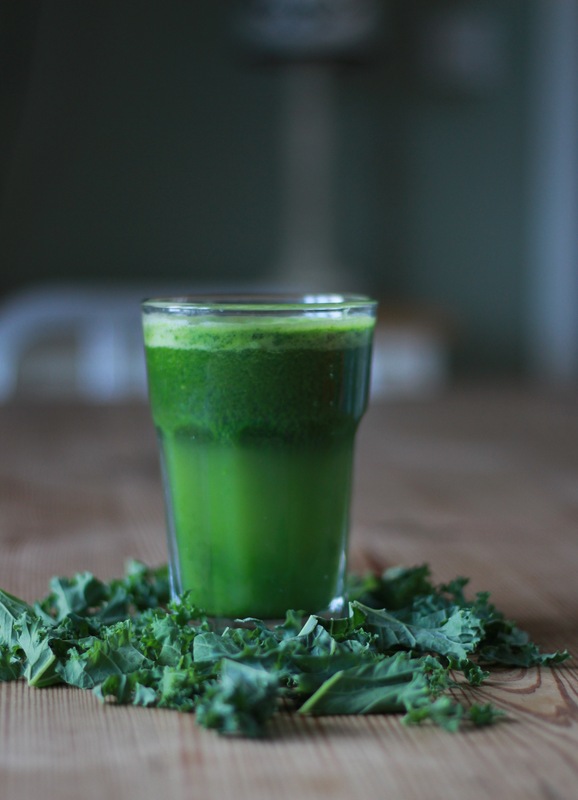 Don’t be put off by the colour of green juice, its somewhat sludge like appearance or even a previous bad experience. I’ve disregarded many a green juice, both bought, and experiments with my juicer, but for all the dud ones out there, there are many more delicious and refreshing combinations and this is one of them. Give it a try. You won’t regret it. And your immune system will thank you and pay you back in good health dividends. A great combo of green goodness and refreshing perfectly balanced flavours. The perfect tonic and boost for your immune system. Sounds delicious! Do you think I could get away with doing this in a high powered blender and filtering through muslin??? I want one!!! This looks great! 🙂 Check out my new site at miaandmilopaleo.com! Love Kale. I make this weekly minus the celery. Not a fan. I like the granny smith apple in this one. Have you tried sweet potato, gala apples, and beet? Delish! Wow juicing sweet potato? No I’ve never tried will do though sounds infesting?! Wow It looks really delicious! Will definitely try this tomorrow!